Keschia Potter is a Saxophonist, Songwriter, Producer, Pianist and Educator. AT the age of 6, Keschia began studying classical piano at B.W.I Studio of the Arts in Inglewood, CA. At the age of 14, Keschia began playing the alto saxophone and joined the Washington Preparatory High School’s jazz ensemble where met her first jazz mentor, Lionel Hampton. While attending UCLA, Keschia performed with Lionel Hampton’s Big Band and studied with jazz legends Harold Land, Billy Higgins, Kenny Burrell. Keschia also had the opportunity to perform at the Jovenes Jazz Festival in Havana, Cuba and was invited back to perform at the 21st International Jazz Plaza Festival. 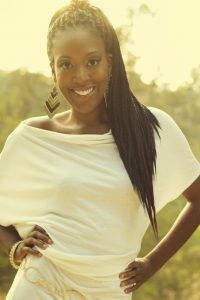 Keschia Potter earned her Bachelor’s and Master’s degree at UCLA and has taught as an adjunct professor at Cal State Long Beach University and Compton College. She has toured the U.S. and Internationally playing saxophone for Beyonce, Robin Thicke, and Jennifer Hudson. Keschia performed at the 2016 Grammy Awards with Lady Gaga and has also performed on the Oprah Winfrey show, Ellen, Jay Leno, Jimmy Kimmel, Conan O’Brien and The Monique Show. Keschia has also performed with Bruno Mars and has shared the stage with Neil Diamond. Keschia loves writing and recording music that will bring joy to people’s hearts. Her hope is to always write music to make people feel good. She has just finished her debut CD, Rebirth of the Soul where she believes good music is a powerful language that can lift people’s spirits and heal the soul. She will be releasing her CD online next month!